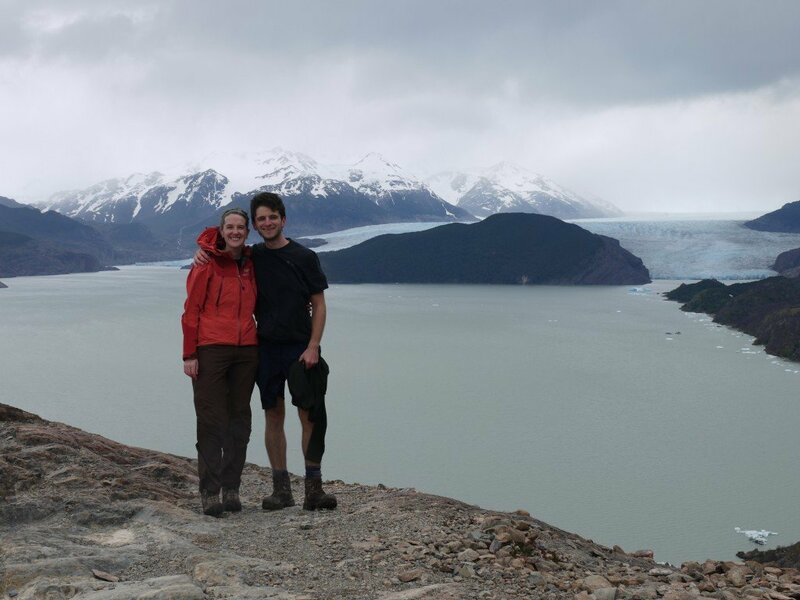 James and his girlfriend travelled to Argentine Patagonia in July of 2015. Their trip was not without its dramas, as a general transport strike threatened to scupper the couple’s plans to discover the area. 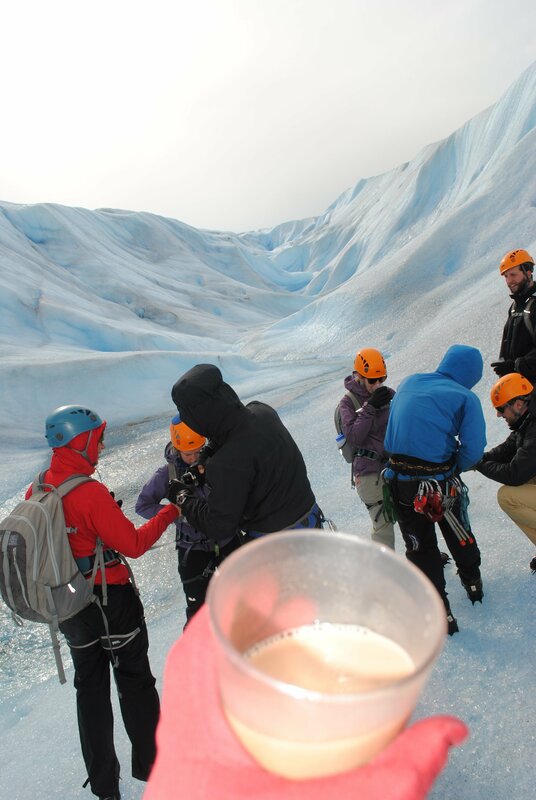 Thankfully, our partners and guides in Argentina were on hand to smooth out any problems and ensure they still had a fantastic adventure. 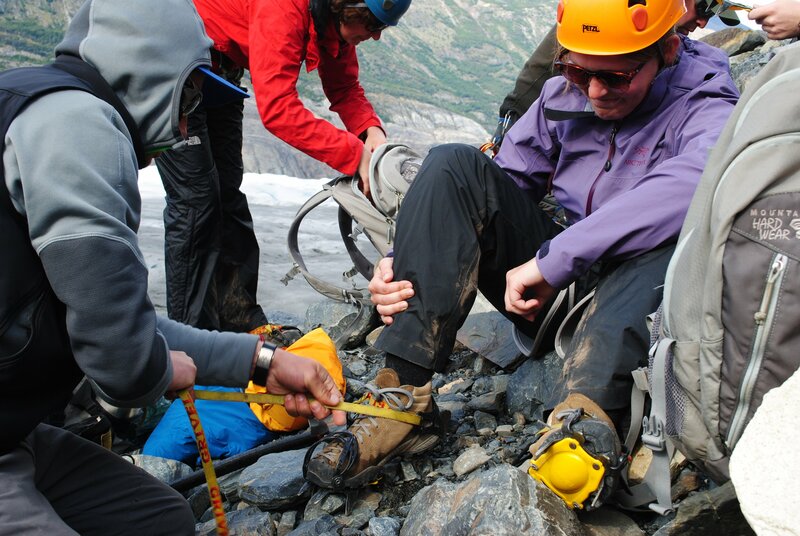 Here James shares their adventure with us and gives us feedback on their experience. We are very impressed with your diligent follow-up. We are also very happy with how you helped us when we were stuck, and even made suggestions for our other destinations. We will definitely recommend Swoop to our friends. We really thank you for your recommendation and coordination. 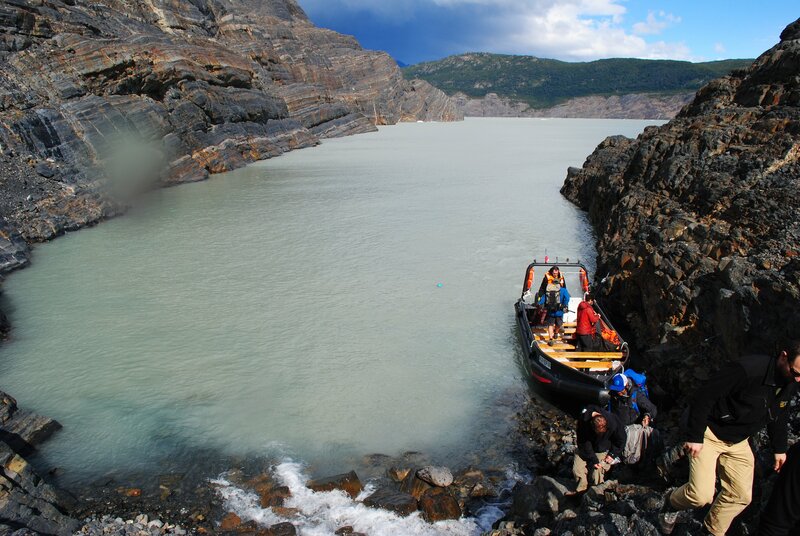 We can’t wait for our next visit to Patagonia in the near future! How did you enjoy our partner’s itinerary? How were their guides? Is there anything you would have changed about this part of your trip? We were quite touched that our guide tried to assess our fitness level and arrange tours accordingly. It was our first time trekking on ice and although we are a young and fit couple we were worried that it would be beyond our ability. 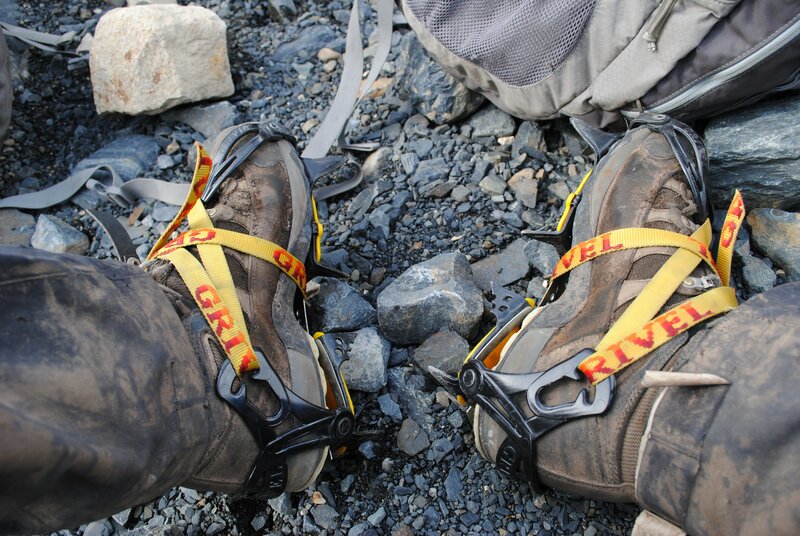 As a precaution our guide lent us two trekking poles which were very very handy. Not many companies are open in Winter, and even the cities themselves are quite quiet with only a few supermarkets open and not much else. But trekking in Winter months is entirely possible. In El Chalten, windy weather meant that we weren’t able to reach Laguna Torre and headed back after completing 1/3 of the trek. 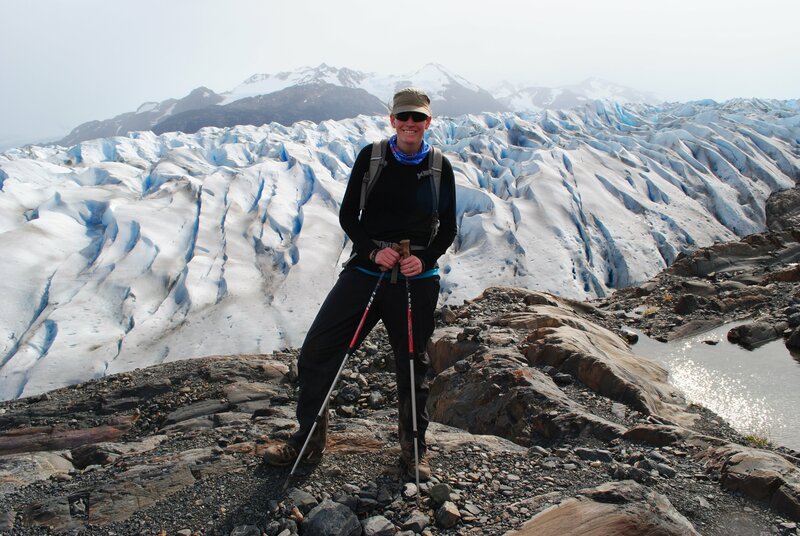 We did have time for a few hours to go around Mount Fitz Roy which was very rewarding. 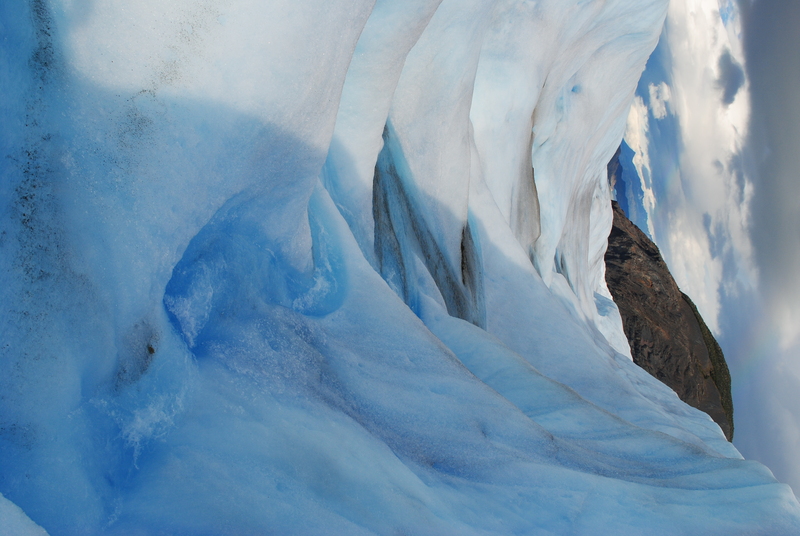 El Calafate was one of the main highlights of our trip… we thoroughly enjoyed every minute of it! 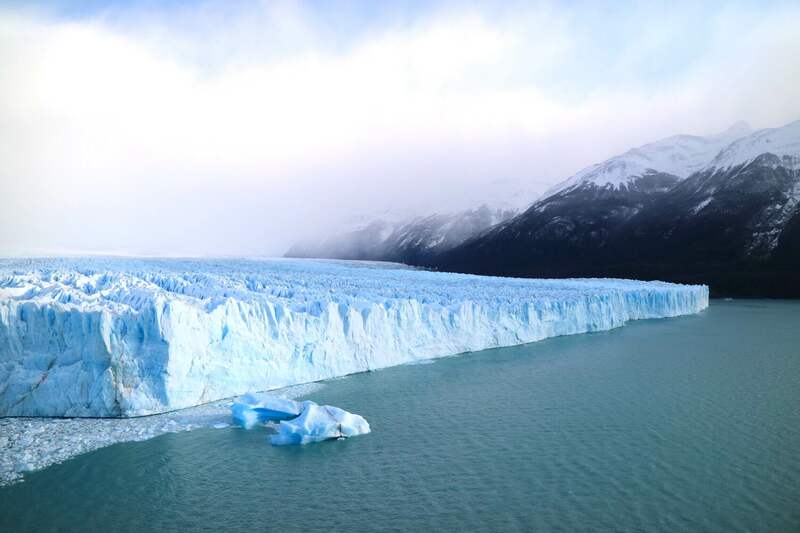 It had always been our dream to see the Perito Moreno glacier. 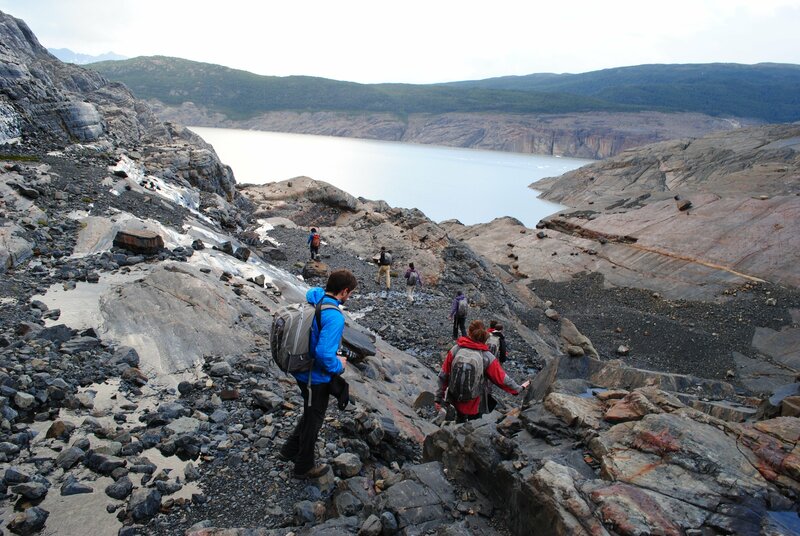 And we happily set off to our tour stopping here and there to take photos of the beautiful landscape and scenery while our guide taught us all about geology to botany and history to zoology. He was also armed with a DSLR Canon and took photos for us throughout the tour, including some close ups of flying condors and eagles with his zoom lens, which he then transferred to our SD cards. 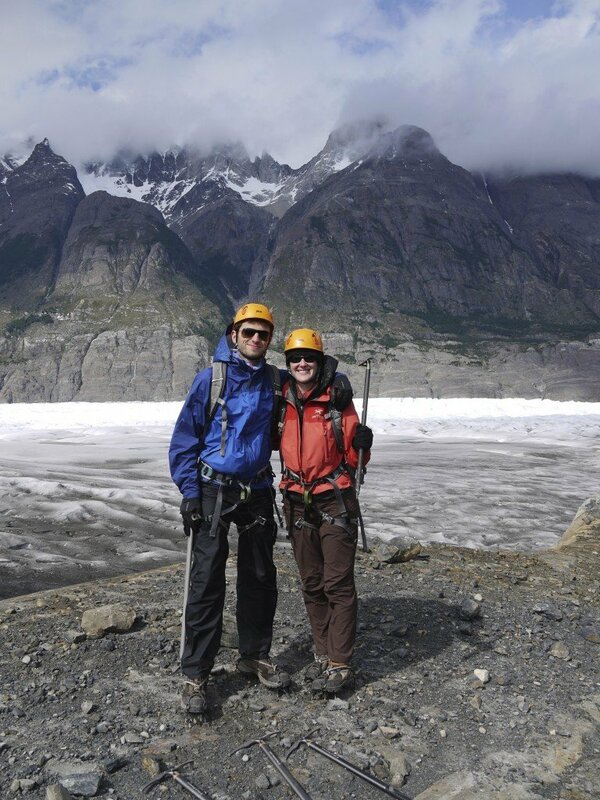 Our guide has been leading trips for more than a decade and is very experienced. It felt like a first-person Discovery Channel documentary with a childhood friend. Really thank you very much. We really could not ask for more and feel totally spoilt with the fabled Argentinian hospitality. 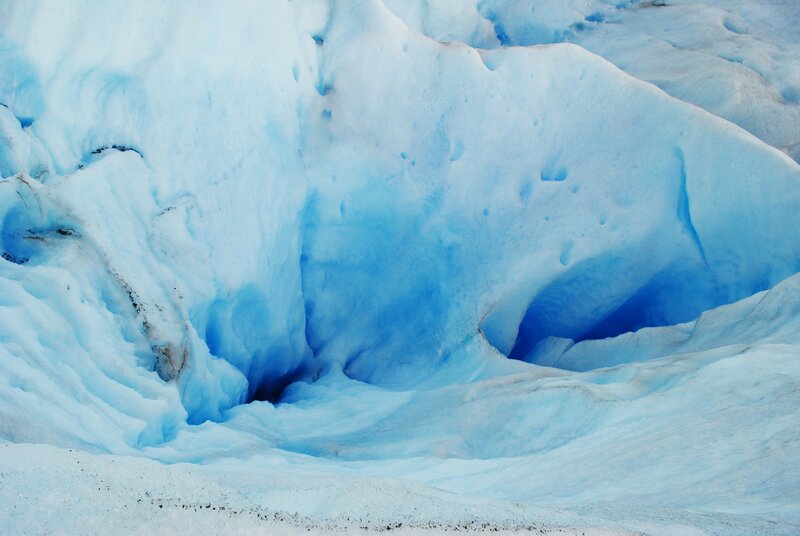 This entry was posted in Reviews and tagged Argentina, Chalten, El Calafate, ice hike, Mount Fitz Roy, winter on 4th April 2016 by Chloe O'Keefe. 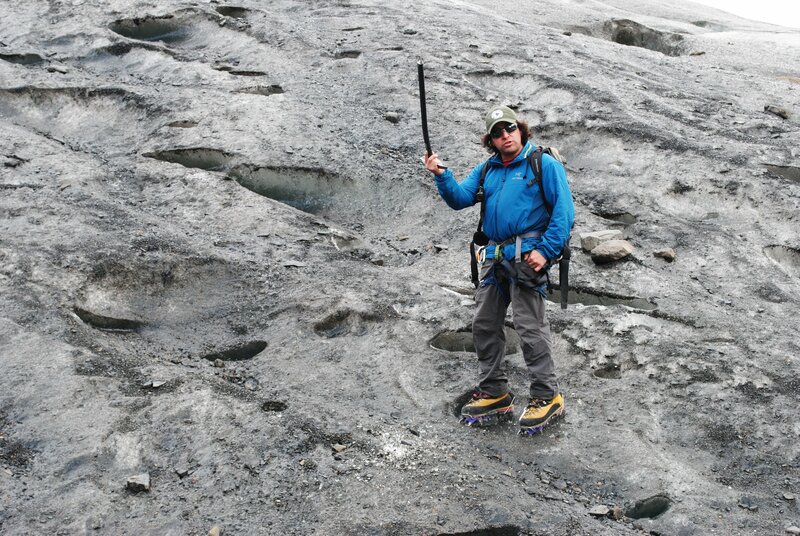 On my Swoop recce to Torres del Paine I spent an afternoon ice hiking on Glacier Grey. 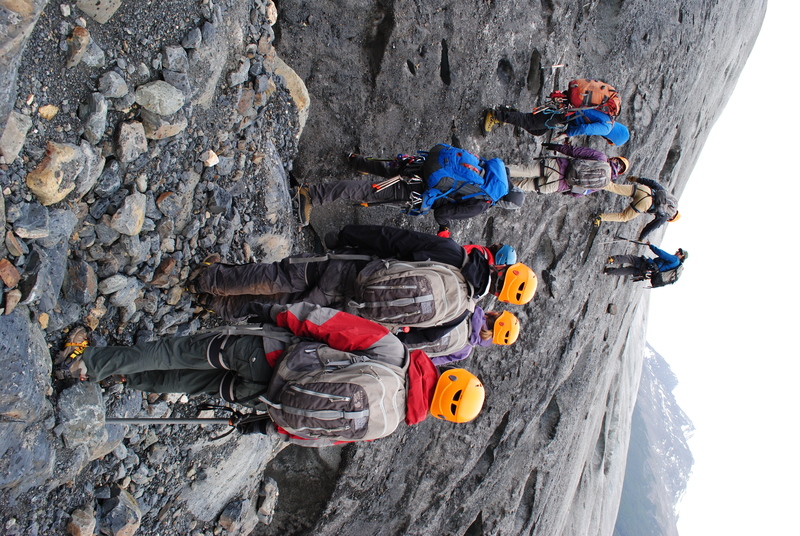 The ice hike lasts 5 hours and there are departures in the morning and afternoon from November until March. 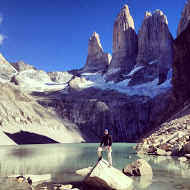 It’s such great activity and I’d recommend everyone doing a trek in Torres del Paine should add it to their itinerary! 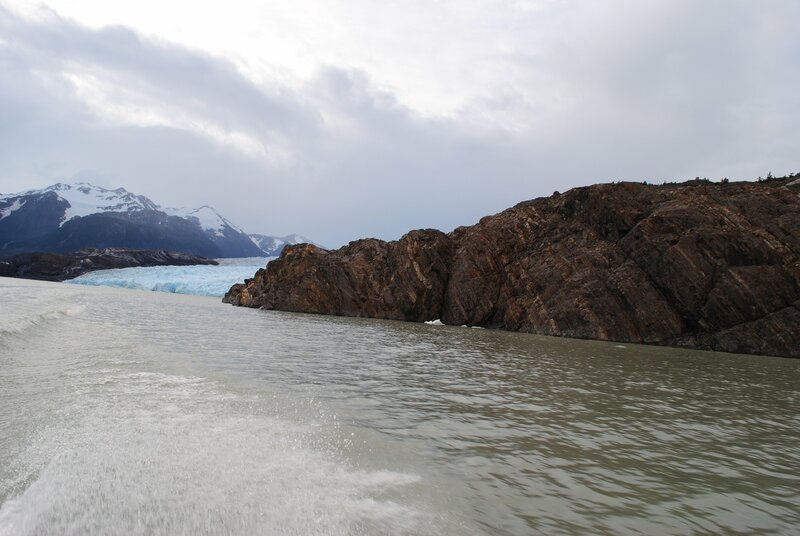 …and zooming across the water to the ice! 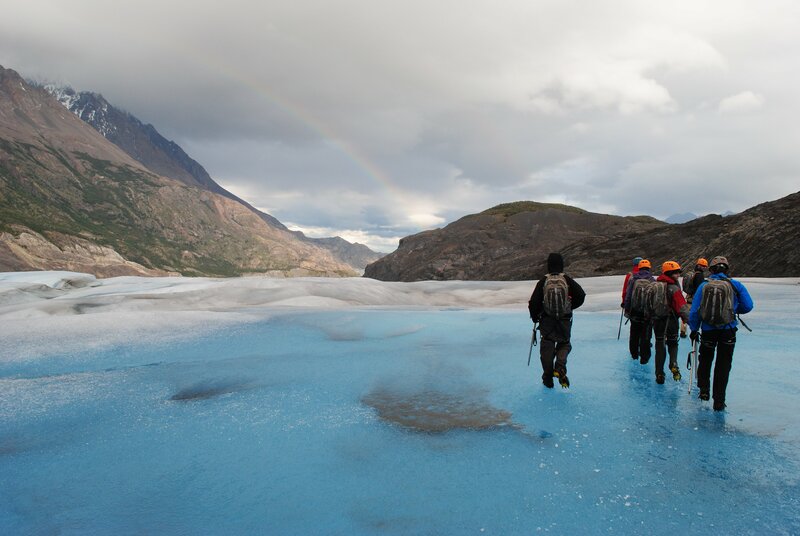 …and it took just under an hour to walk from the drop off point to start the ice hike. The going is a little difficult, so ladders have been put in place to assist you. 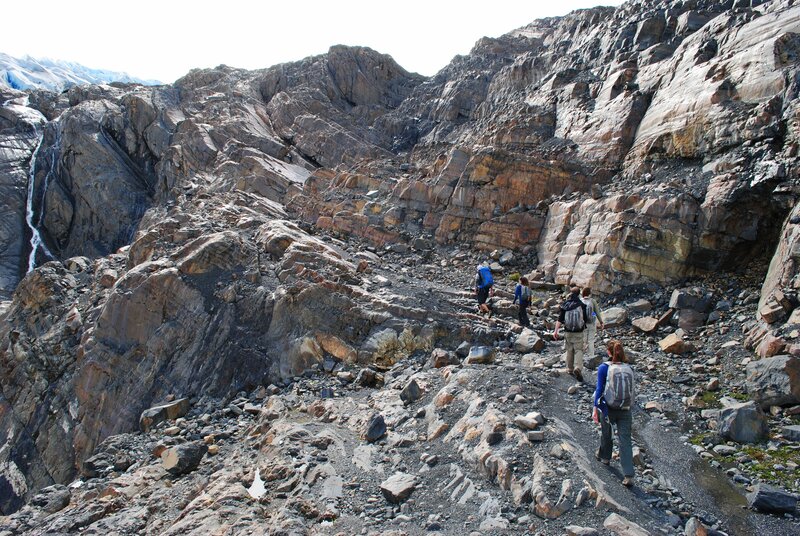 The striated rock is fascinating, and the view towards the Cordon Olguin and Paso John Garner is captivating. Hey Mum, look at me! …but then we were off! …whilst the sound of gurgling water and cracking ice made us appreciate the dynamic nature of the glacier. …and wondering how deep they were! 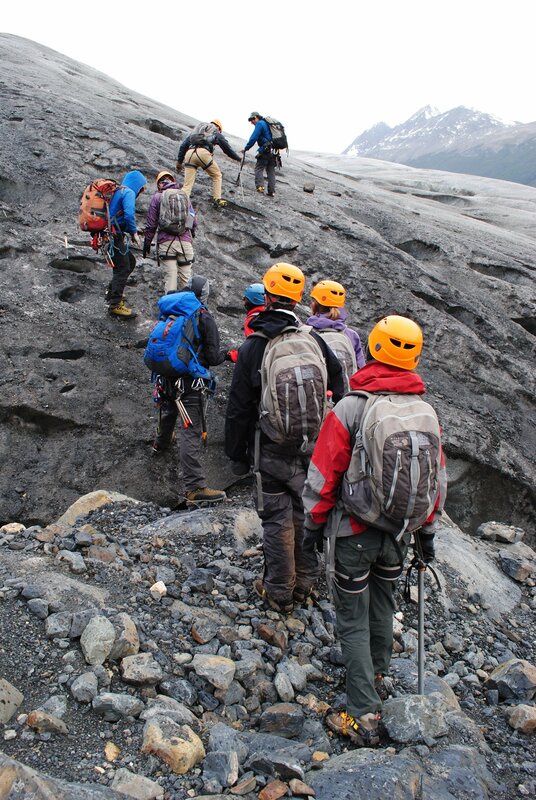 …and the end of our magnificent Glacier Grey experience. 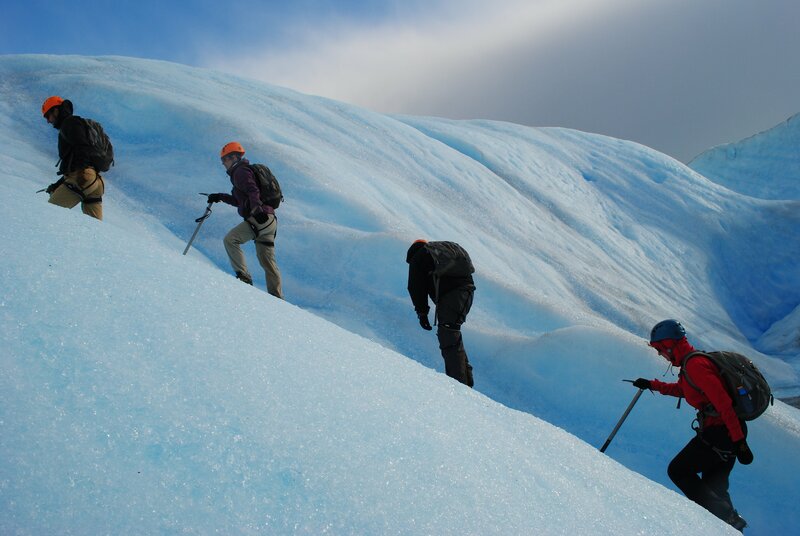 Contact me to help you arrange your own unforgettable ice-hike experience on Glacier Grey or with any other questions you might have to create the ultimate Patagonian adventure. 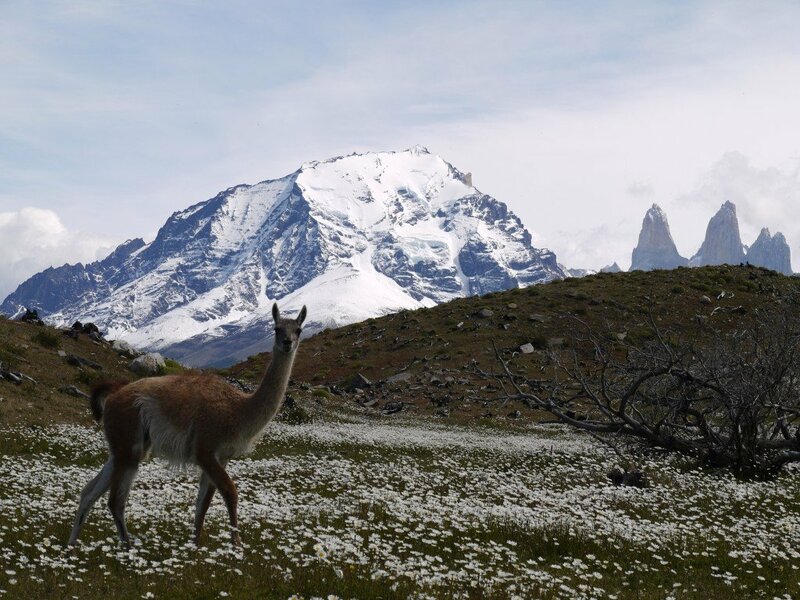 This entry was posted in Reviews and tagged Glacier, Hiking, ice hike, Torres_del_Paine on 15th April 2015 by Harriet Pike. What did Swoop do well? Swoop Patagonia was fantastic to work with. Prior to the trip, Chloe and Luke responded to my questions quickly and with detailed responses. They helped us pick the right trip based on our travel schedule. 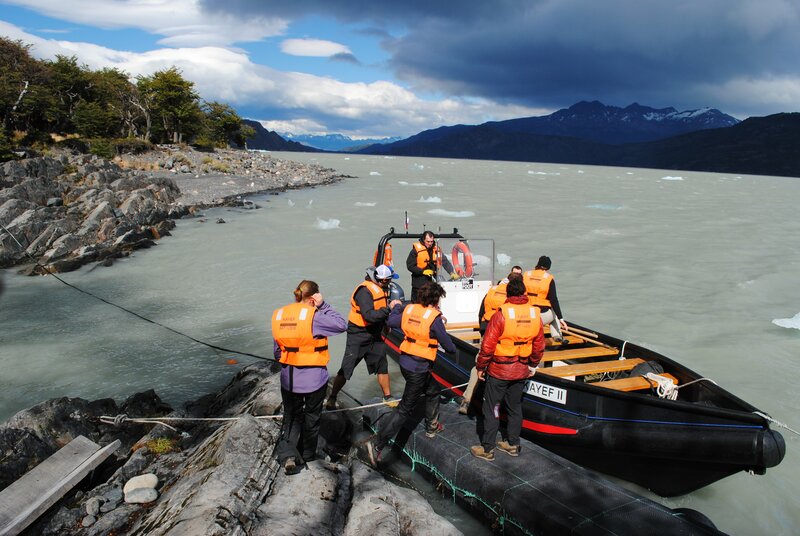 I’d recommend using their services for anyone traveling to Patagonia. This was probably due to the info I provided about our experience and questions I asked, but I wish they had pushed me more toward the Self-Guided W Trek. During and after the trip, we realized that we could have done it all on our own. Our concern was always what we’d do if the weather changed abruptly, how safe the paths were and how easy it was to remain on the correct path without getting lost. The latter definitely isn’t an issue. We also thought we would encounter fewer people than we actually did. We had great weather, but I realize it could always be worse. 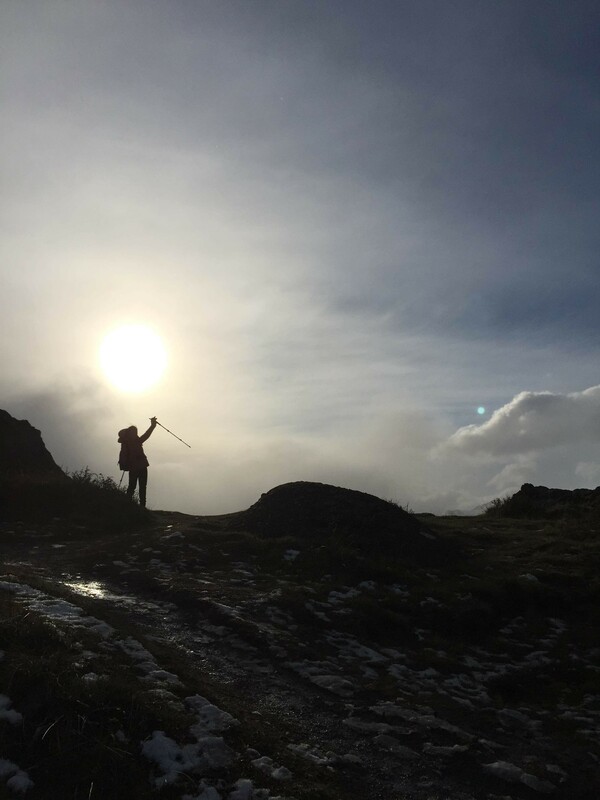 Maybe providing more info about the number of other travellers/guides out there to help you, the safety of the paths and how well marked the paths are would help travellers choose the right trip for them. 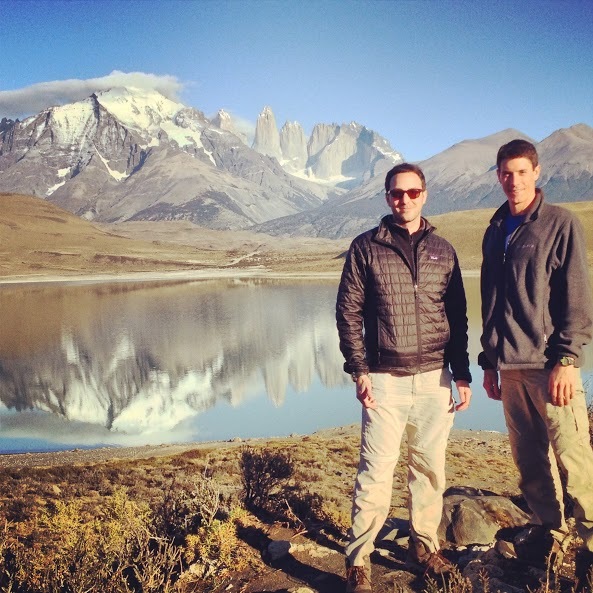 How did you enjoy the itinerary our partners in Torres del Paine provided? 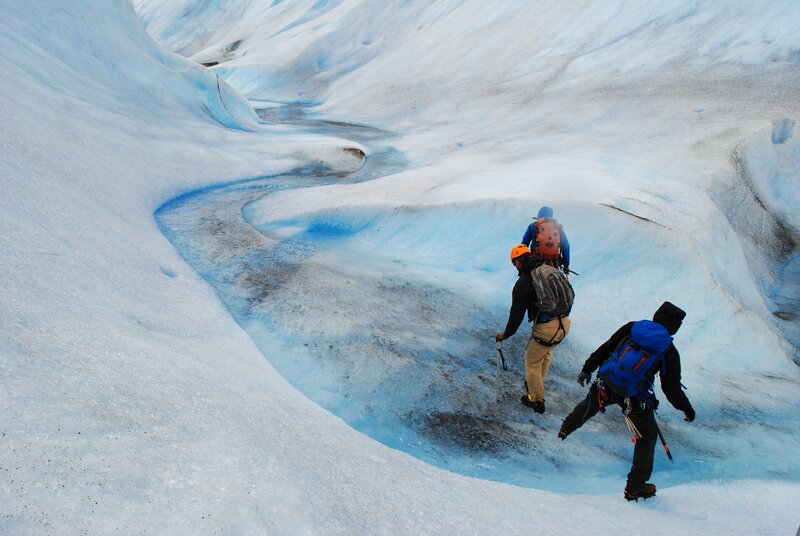 We thoroughly enjoyed our Trek, Kayak & Ice Hike trip. It was great that everything was taken care of for us. We really only had to worry about taking pictures and enjoying the views. Each day was exciting and offered amazing experiences and views. 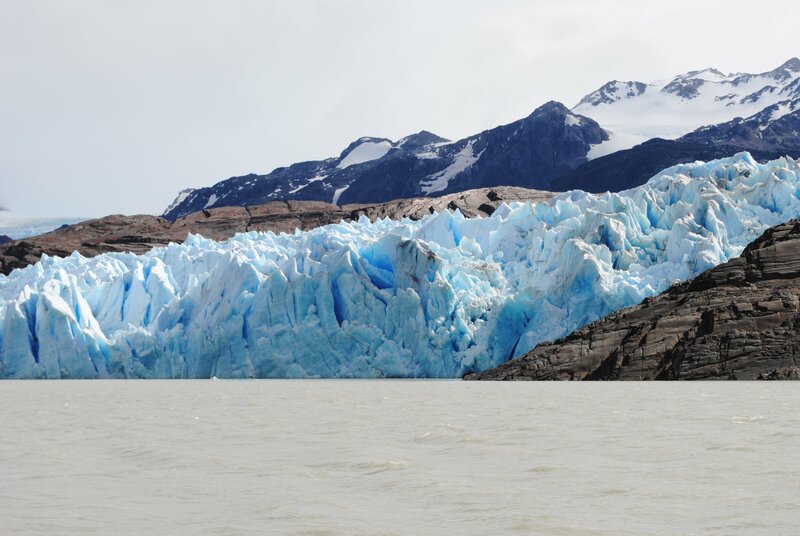 The kayaking and glacier trekking were truly amazing experiences that aren’t to be missed. Our guide, Sandra, and the driver were both fantastic. Sandra spoke great English and was full of information about the areas we were trekking. She always had a big smile on her face and laughed at our jokes, even if she often didn’t understand our American sense of humour. She really made the trip very easy for us. I’d recommend Sandra to anyone looking for an amazing guide who will make your trip easier and more enjoyable. After completing the treks and meeting other non-guided travelers, I realized that we could have done all of it on our own. But, it was nice to have that added security of a knowledgeable and experienced guide just in case something happened. We also wouldn’t have met Sandra if we did it that way. 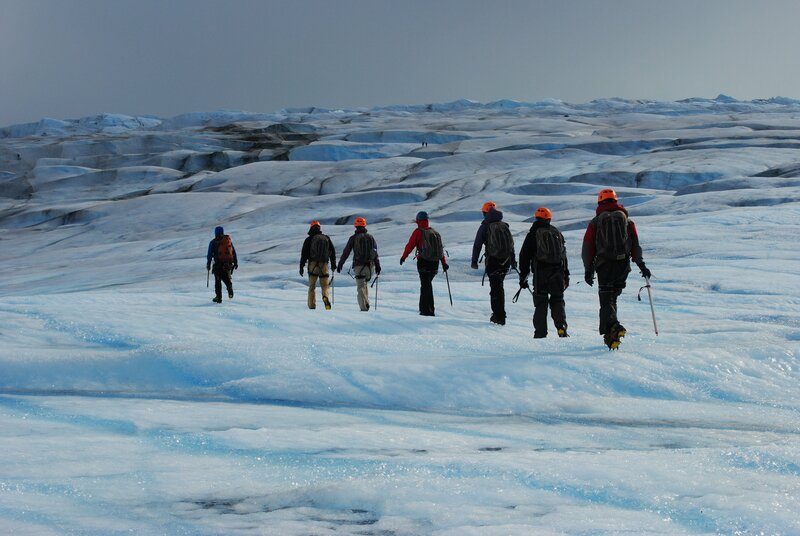 All of the amazing scenery and the ice trekking. till suggest the self-guided option since everything is taken care of for you minus the guide. We visited Buenos Aires and loved it. The food, wine, culture and scenery were all amazing. 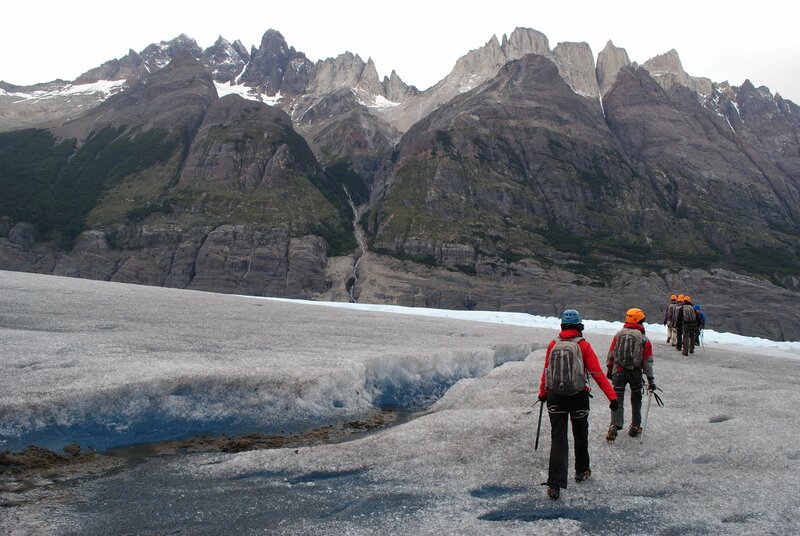 This entry was posted in Reviews, Torres del Paine and tagged Antares, Guides, ice hike, kayaking, Torres del Paine, Trekking on 30th September 2014 by Luke Errington. 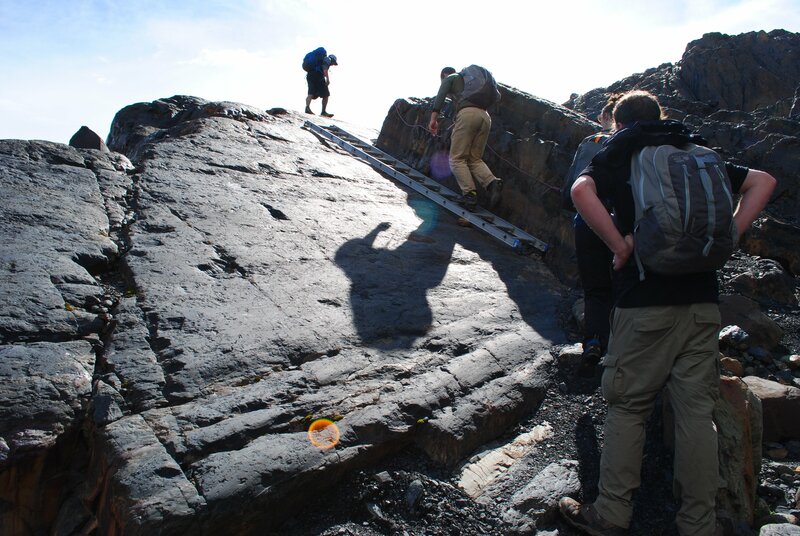 We have a number of people asking about treks in April and with fewer scheduled departures going on at this time in the ‘shoulder’ season we thought it might be helpful to share details of a few guaranteed trips, and a few provisional trips going on. April is in the Austral Autumn so you can expect shorter days, and cooler temperatures but also fantastic autumn colours and fewer people in the national parks. Where dates are provisional please do let us know if they might be of interest and if it would be helpful to move the trip forward or backward by a couple of days. This ‘eco’ camp option, 7 days, starting on 7th, 14th and 21st April. 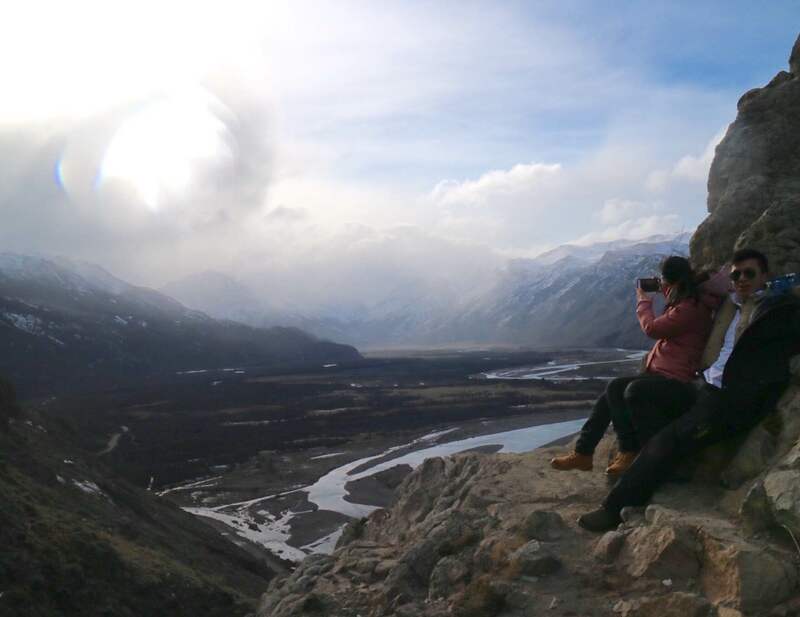 W trek, with an off-the-beaten-track twist (12th-17th Apr) and a 2 day kayak trip (18-19th April) – a pretty challenging expedition, only for experienced outdoors people. Original W Trek, 5 days, starting 29th March and 22nd April. 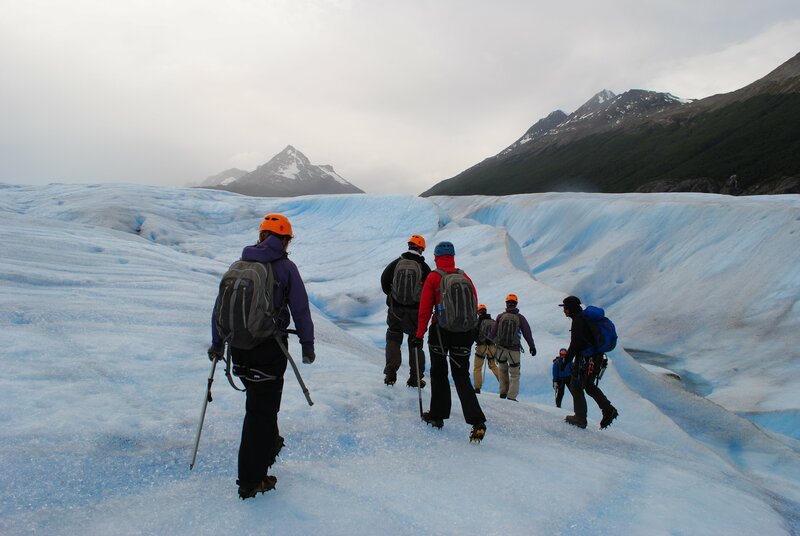 Los Glaciares experience with a visit to the Perito Moreno glacier, day hikes and ice hiking on the Viedma glacier, from 7th to 11th April. A challenging 3-4 day trek along lines of https://www.swoop-patagonia.com/huemul-circuit/ in the first/second week of April. 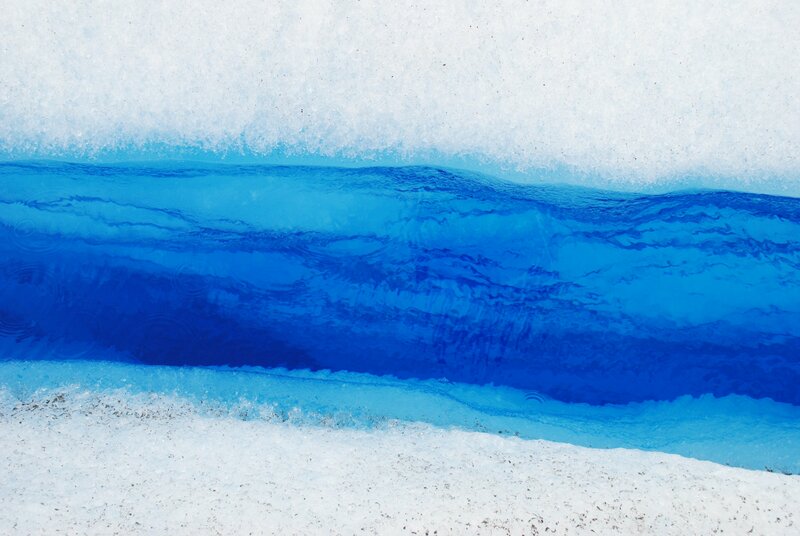 A longer but equally challenging 6-7 day trek along lines of https://www.swoop-patagonia.com/complete-chalten-trek/from 12th – 18th April. 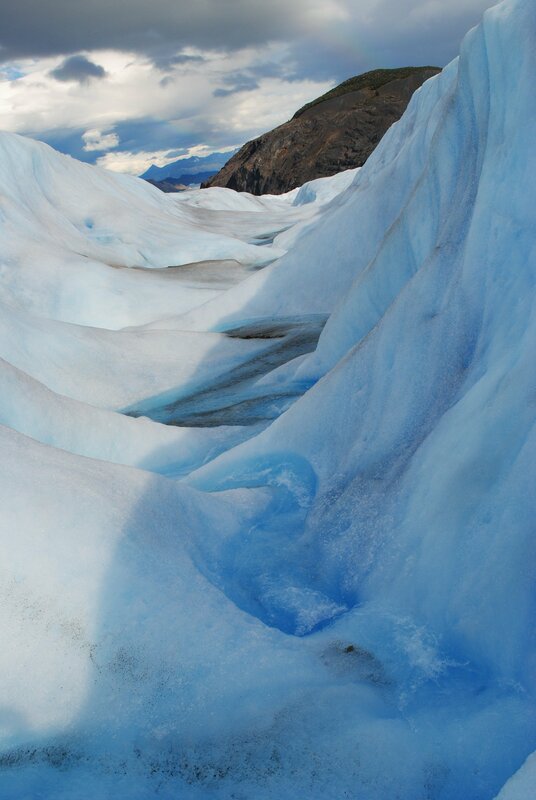 Please see our Map of El Chalten. 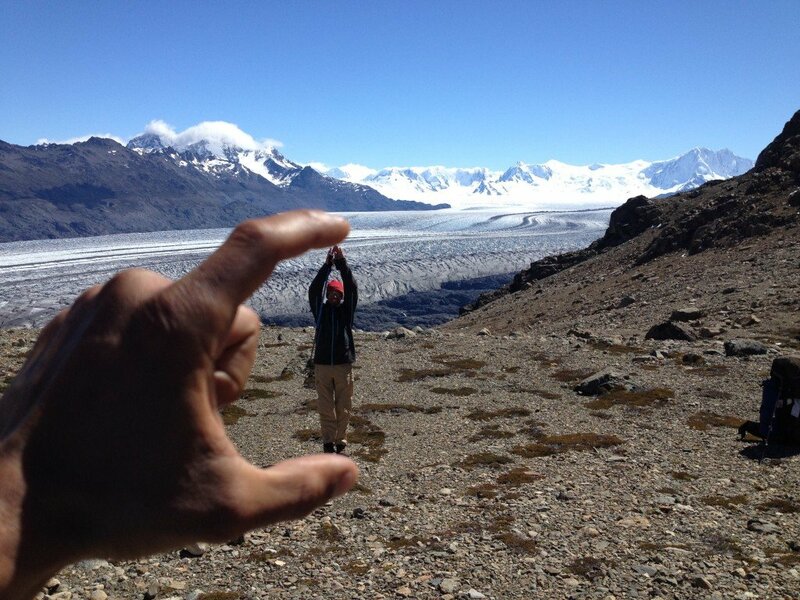 This entry was posted in Los Glaciares, Things to do, Torres del Paine, Winter and tagged Chalten, Glacier, ice hike, kayaking, Los_Glaciares, paso_huemul, Perito_Moreno, Trekking, W_Circuit on 18th February 2014 by Luke Errington. 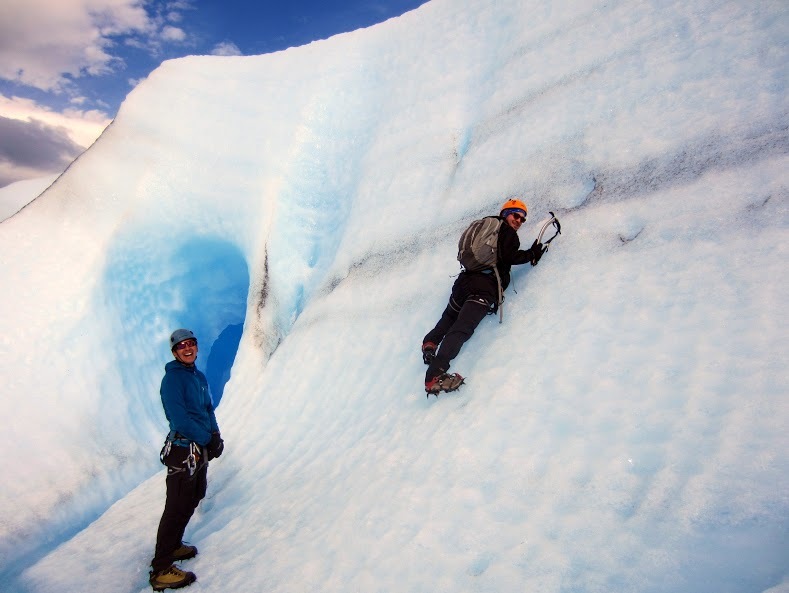 Ali returned at the end of January from a trek in Los Glaciares National Park, where he hiked in and around El Chalten, exploring the many mountains, glaciers, lakes and valleys around the dramatic Mount Fitz Roy. Here he tells us about his trip and his experience of booking with Swoop and our partners, and shares some fantastic photos and videos! The highlight of my ‘Complete Chalten’ trip was seeing the Continental Ice Field and trekking between Paso del Viento and Paso Huemul with very few people and amazing scenery. Not this time, but hopefully next time. Swoop did an excellent job, the flexibility in trying to meet my schedule was great and the operator recommendations were fantastic. 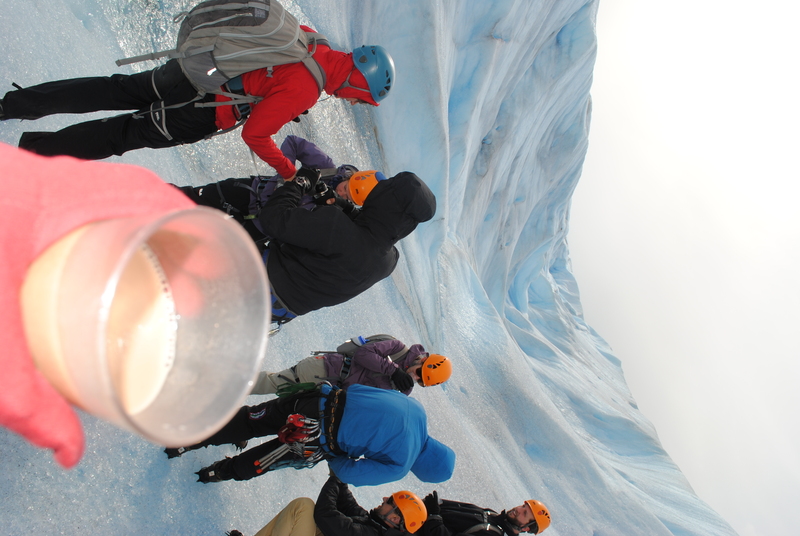 Were you well looked after by the operator in El Chalten & their guides on the trip? The equipment and food provided was great, the hotels recommended and booked were excellent, and the guide, Gaston did an outstanding job- very professional, knowledgeable, and fun to trek with. Hopefully next time I’ll be able to plan further in advance without many changes. Be ready physically and mentally, and enjoy nature at its best. This entry was posted in Los Glaciares, Reviews and tagged accommodation, Argentina, Chalten, Glacier, Guides, Hiking, hotels, ice hike, Kit, Los_Glaciares, Mount Fitz Roy, paso_del_viento, paso_huemul, Perito_Moreno, Review, Southern Patagonian Ice Field, viedma_glacier, Walk Patagonia on 4th February 2014 by Luke Errington. 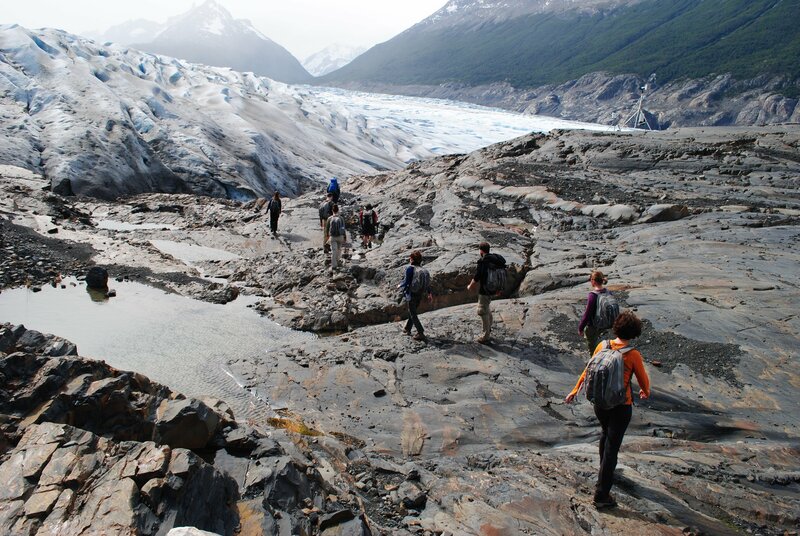 I think the day our guide Nico took us on a 3 hour day hike in the morning to an “off the beaten path” view of Grey Glacier and then that afternoon/evening we went ice hiking on that same glacier. I also loved Laguna Azul and how hiking around that part of the park was so quiet and peaceful. 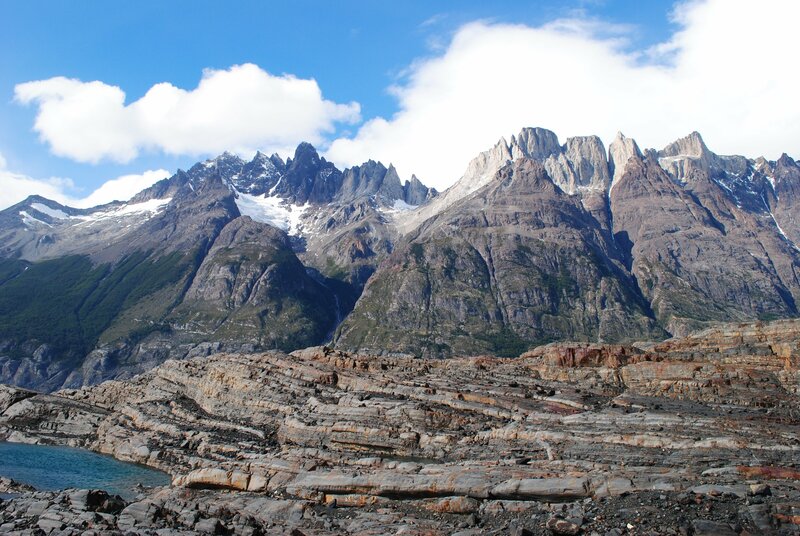 We flew right into Punta Arenas and spent a night in Puerto Natales on either end of our trip but we only had time for our expedition in Torres del Paine. A+! It was so overwhelming at the start of our trip planning to know where in Patagonia we should go, then what guide company we should work with, etc. 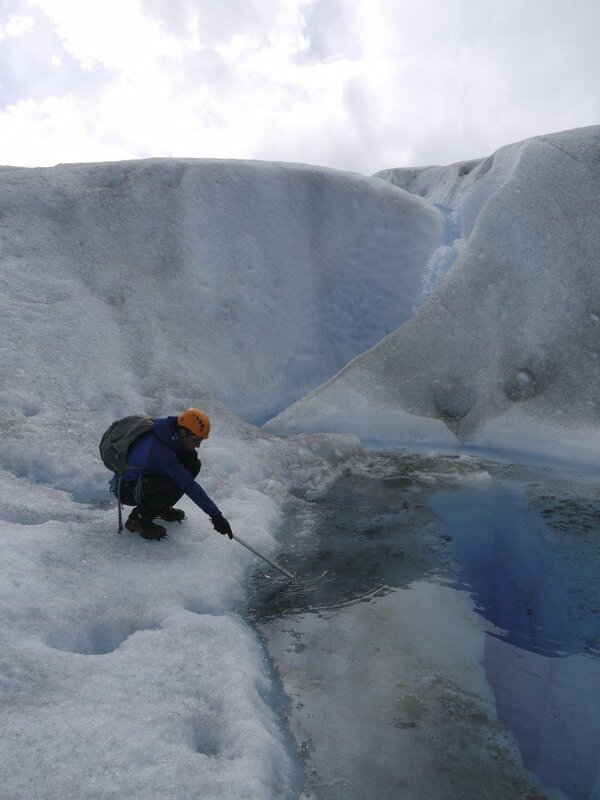 After our conversation in August, you listened closely to what we wanted from our trip (a physically challenging trip without crowds with a mix of backpacking and kayaking) and the operator you put us in contact with did exactly that. 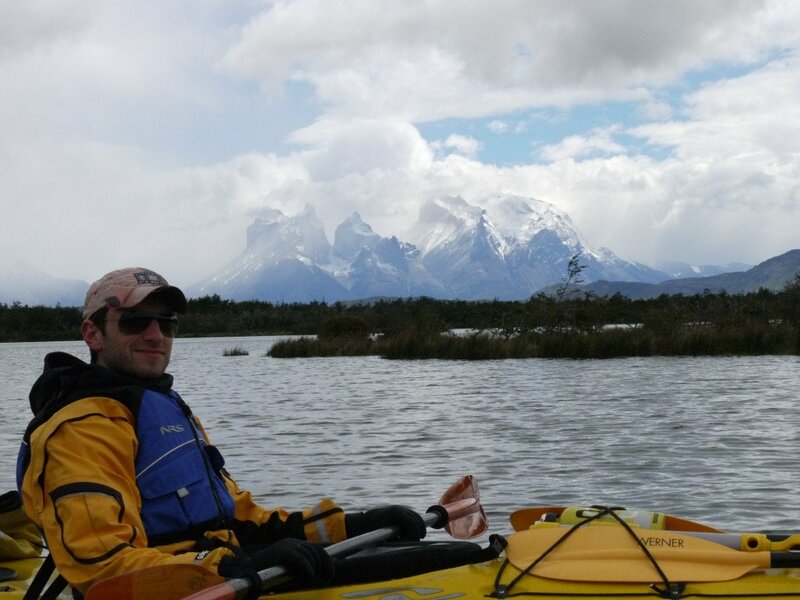 So thank you for steering us towards Torres del Paine (a fantastic part of Patagonia in which to backpack and kayak), and toward this particular operator. How was the operator, and how were their guides on the trip? Another A+! They made us feel very welcome in Puerto Natales when we arrived and set us up in a wonderful hostel in town. We felt very well taken care of and they did a great job coming up with a Plan B itinerary at the last moment when there was an unexpected weather forecast (tons of snow!). Our guide, Nico, was fabulous and we couldn’t have asked for a more knowledgeable, flexible and personable guide! When my brother got sick on the first two days of the trip, Nico, helped create a “Plan C” on the fly that accommodated my brother and still kept in line with what type of trip we wanted. We couldn’t have been happier. Was there anything that you wish had happened differently or not at all? I think the only aspect of the trip that I would have changed would to have been more involved in the food planning. I am used to planning backpacking trips for myself in the States and love food planning and while I so appreciated the operator taking care of this part, I ended up missing a few of my “backpacking staples” and would have enjoyed being a part of that pre-trip planning. It was a nice luxury to have Nico prepare all of our meals though – I am not used to that having never taken a guided trip before! 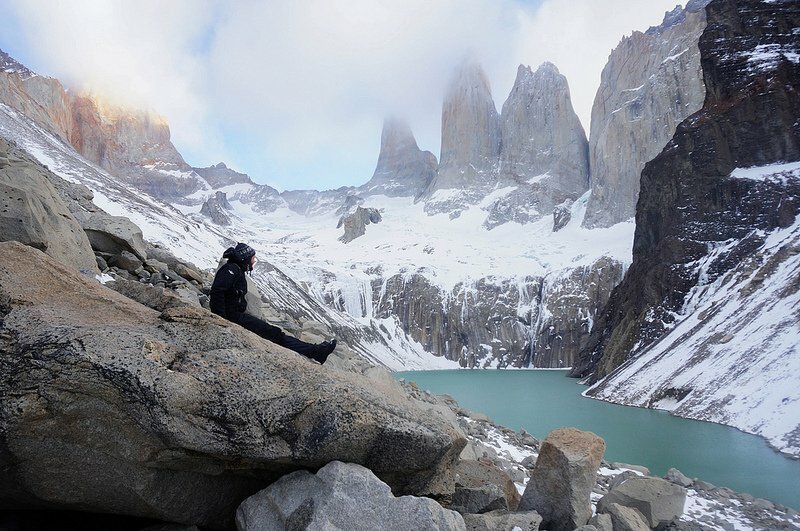 If you’re looking for fantastic backpacking conditions – go to Torres del Paine. No bugs, perfect temperature, no bears or other worrisome animals, and you don’t even have to treat your water! Having backpacked a lot, I was amazed at the perfect conditions for hiking and camping in the park. I just loved it. Leaving from Puerto Natales is also wonderful – it’s a really fun, welcoming town in which to stay on either side of your trip with backpackers from all over the world! 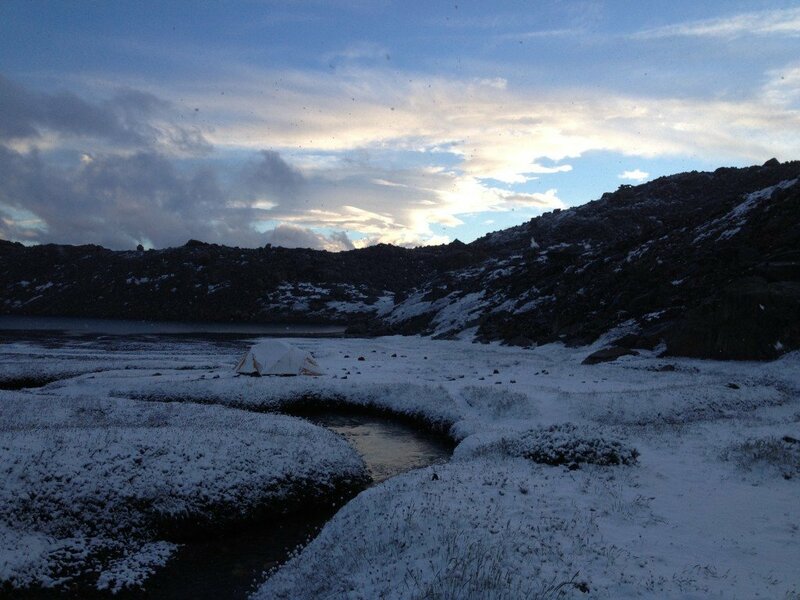 This entry was posted in Reviews, Torres del Paine and tagged accommodation, Dittmar, food, Grey Glacier, Guides, Hiking, ice hike, kayaking, Laguna Azul, Multi Activity, Puerto_Natales, Punta_Arenas, Review, Tips, Torres_del_Paine, weather on 27th January 2014 by Luke Errington.